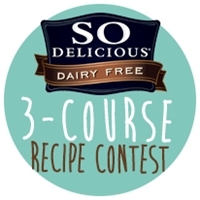 This recipe for ice cream cheesecake is a “dessert” entry in the So Delicious Dairy Free 3-Course Recipe Contest, submitted by reader Sheyenne Michelizzi. 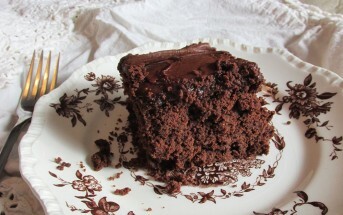 For the decadent filling, she uses Chocolate Coconut Milk Ice Cream from So Delicious. 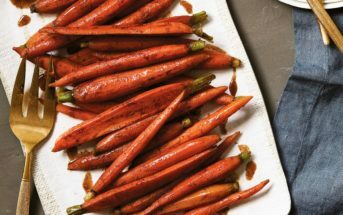 By ingredients, this recipe is dairy-free / non-dairy, peanut-free, tree nut-free, and vegetarian. For a gluten-free and dairy-free ice cream cheesecake, I recommend using gluten-free grahams or graham crumbs, such as Kinnikinnick, for the crust. A soy-free, dairy-free ice cream cheesecake can be a bit more difficult, but there are a couple such brands of dairy-free cream cheese alternative available, such as Daiya. 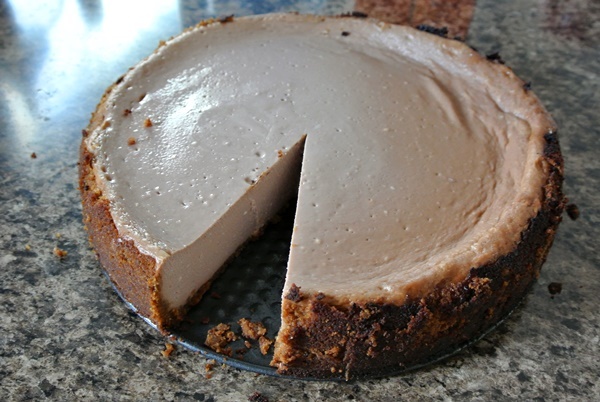 You can use any flavor of dairy-free ice cream to make this cheesecake! For the crust, combine crumbs and sugar, stir in melted margarine until ingredients are well combined. Press up sides and over the bottom of the Springform pan. For the filling, blend dairy-free cream cheese alternative and So Delicious ice cream together with a mixer. Add sugar. Add eggs, one at a time. Blend until the mixture is smooth and creamy. Pour filling into crust. Bake at 500ºF for 10 minutes, then reduce temperature to 250ºF and bake 70 minutes longer. Cool cheesecake thoroughly, then refrigerate several hours before serving.